I’m sure you guys are all aware of the dangers of supermarket shopping. You know how they place all those little nasties and the end of the aisles. When we’re feeling tired and vulnerable these items appeal to our inner comfort and we tell ourselves we deserve them and will feel better after we eat them (momentarily). Not to mention the fact that they place multiple nasties at the checkout when you’re at the end of your tether with a 3 year old having a major melt down. We try and do our best to give the kids healthy nutritious food but that all goes out the window when the kinder surprise is going to buy you 10 minutes of silence while you get through the checkout and pack the groceries in the car. The following article has been doing the rounds on Facebook this week and is a well written documentation on the layout of our supermarkets. Thank you to Claire for sharing this with me. You were right this did speak to me and I agree with everything I read. Please take the time to click on the link and have a read through. 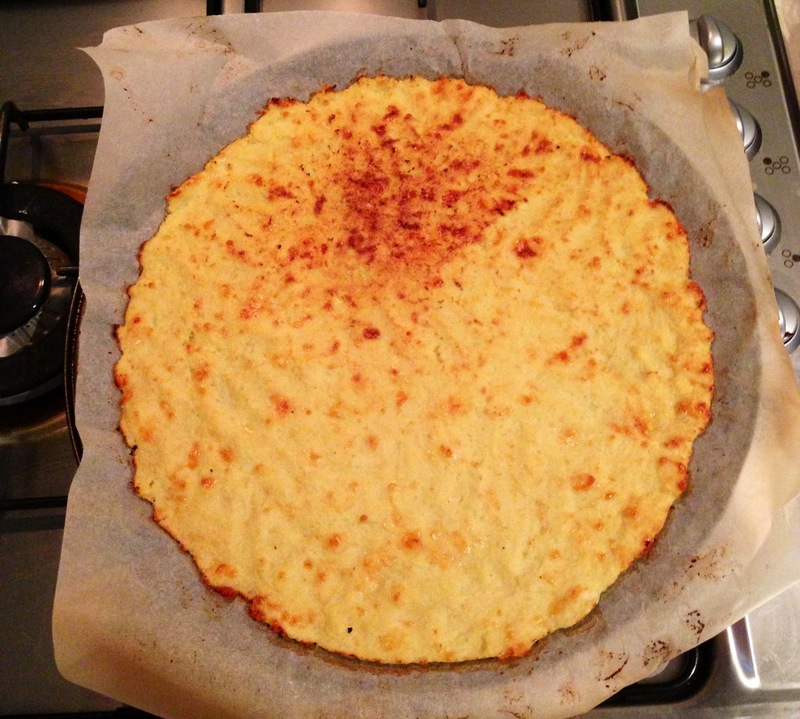 Due to popular demand I’m posting the cauliflower base pizza recipe. Now before you screw up your nose and say “I don’t like cauliflower”. Let me just inform you , you can’t actually taste the cauliflower in the base. This is gluten free and a good meal to try on takeaway night instead of popping out to the shops. Try and follow the directions, especially the part about draining the water from the cauliflower as I didn’t the first time and ended up with a soggy mess. Place all the cauliflower in the food processor until finely processed. Then cook in the microwave for a few minutes to cook through (no water needed). Place in a tea towel and wring all the moisture out of the cauliflower. Place in a bowl with the egg, almond meal and parmesan and mix well. Line your pizza pan with baking paper and press the dough to the edges and bake in a hot oven until in browns.